Dunlop tyres with Price Promise Guarantee! YOU HAVE BEEN REDIRECTED TO THE DUNLOP MANUFACTURER PAGE AS THE DUNLOP GRANDTREK ATC IS NO LONGER AVAILABLE. Dunlop Tyres UK are a premium tyre manufacturer and are well-known as one of the best in the business for producing high-quality and long lasting tyres. Dunlop are owned and operated by Goodyear Tire and Rubber Company. Dunlop Tyres’ journey started close to 125 years ago with the development of the very first pneumatic tyre that heralded the era of motor racing. In last century and a quarter, Dunlop Tyres has focused solely on innovation and have been a driving force behind some of the breakthrough technologies seen in tyre development such as the Specific Bead Seat System, Multi Radius Tread Technology and DuPont Kevlar compound. Dunlop Tyres has strong associations with motorsports, being the sole tyre supplier to the British Tour Car Championship (BTCC) since 2003. Additionally, Dunlop tyres are used in other racing events like the American Le Mans Series and Deutsche Tourenwagen Masters. Between 1958-1965, Dunlop were the sole supplier of tyres for the Formula One. The Dunlop tyre range includes tyres for everyday driving, tyres for high performance driving and tyres for cars, SUVs and light trucks. 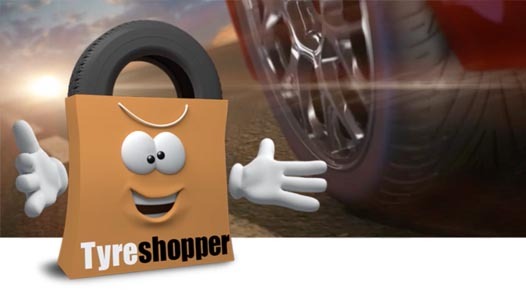 The entire range of Dunlop Tyres is available at Tyre Shopper.